Have you ever heard of a dance marathon? I hadn't until I met one of the directors of the Indiana University Dance Marathon about 5 years ago. She explained to me that it was basically a 36 hour non-stop rave (with no drugs) that now raises over 3 million dollars a year for charity. Kind of a big deal. 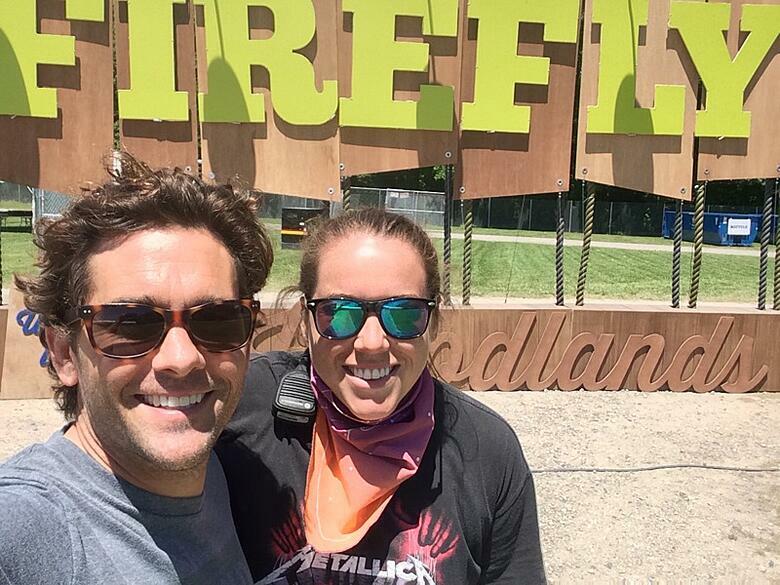 And that young college student I met... well, she is now running one of the fastest growing music festivals in the U.S.: the Firefly Music Festival in Dover, Delaware. 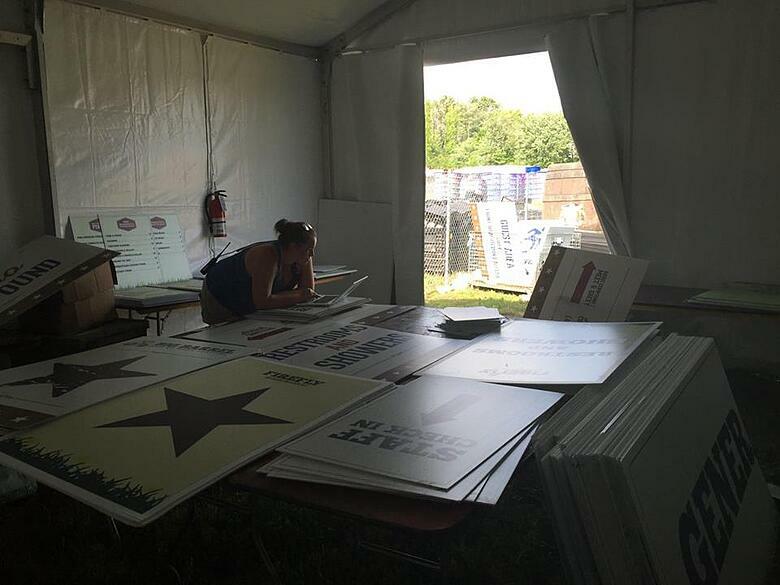 30,000: Meals served over 10 build days, 4 show days and 5 strike days. And a crapload of Dog Fish Head. 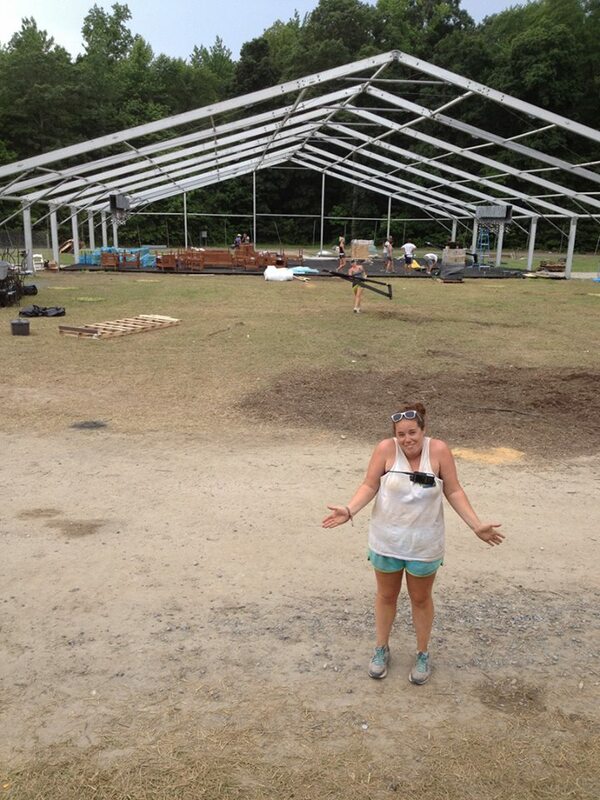 If you don't know Megan Marshall, her official title is Event Experience Assistant Director at RedFrog Events (Producer of Firefly Music Festival, Warrior Dash, etc.). I'd describe Megan as one of the most energetic, calm producers I have ever met. She is perfect for the chaotic nature of the event world. And that's exactly why she's next up on the hot seat. Someone hates her job. Festival Management guru Megan Marshall. First: Pick her brain about her career in the event business. Second: Understand what the key success factors were for Firefly that first year. Third: How they've managed the growth of the event over the last few years. And Lastly: And any other nuggets of wisdom I could pull out of her. Let's just say Megan delivered. As usual. Enjoy. Ready to do this Megan. Heck yeah. They look like a lot of fun. 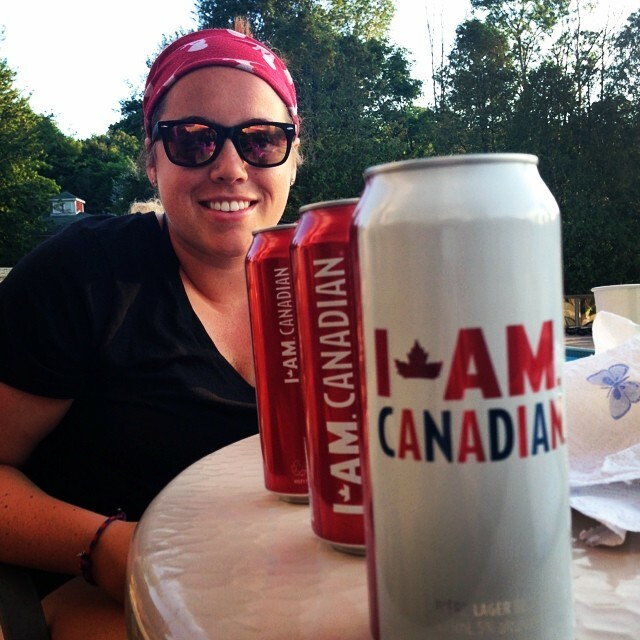 I was born in Canada, but spent most of my growing up years in and around Indianapolis, Indiana. The right size. Just the four of us. Mom, Dad and sister. 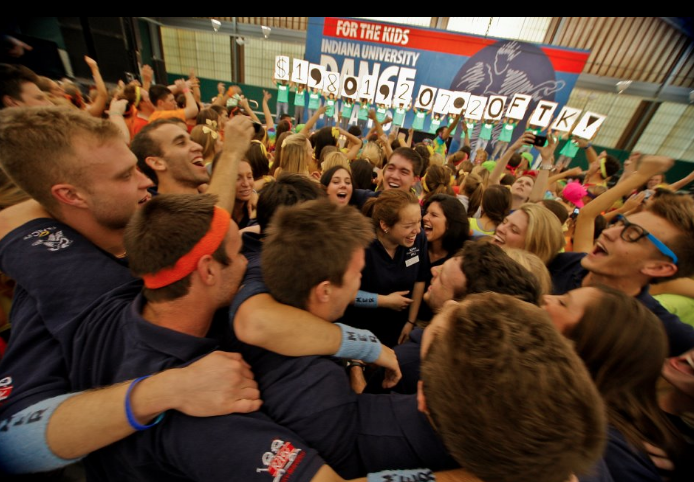 What's your biggest take-away from your Indiana University Dance Marathon days? Oh man. A big takeaway for me was making sure that you don't let tradition anchor you when you're making decisions. If your friends were a little tipsy, how would they describe you? Hmm… I'm often told I have a bit of a dramatic flair when I'm describing a good meal, so I definitely think they would throw that around. Hopefully they'd say that I am really loyal (even after a few beers). Hmmm - I wonder where you're from. It can be whatever you want Megan. It would be really random old t-shirts. I like to call them weekenders. Well... I'd call them weekenders too, if I didn't wear them every day. If you were a piece of festival equipment, what would you be? Hah... Well I'd have to be a forklift. I take a lot of pride in my forklift driving abilities. If you spend a couple hours on one, they feel like an extension of your soul. Like an old friend. If you weren't working in production, what would you be doing? Ooh. I'd be a chef. I'd want to open up my own restaurant and have a really good beer and cocktail list. There'd be a bocce court in the bar and we'd have some really good food. There'd definitely be tacos on the menu, but really, really good authentic tacos. 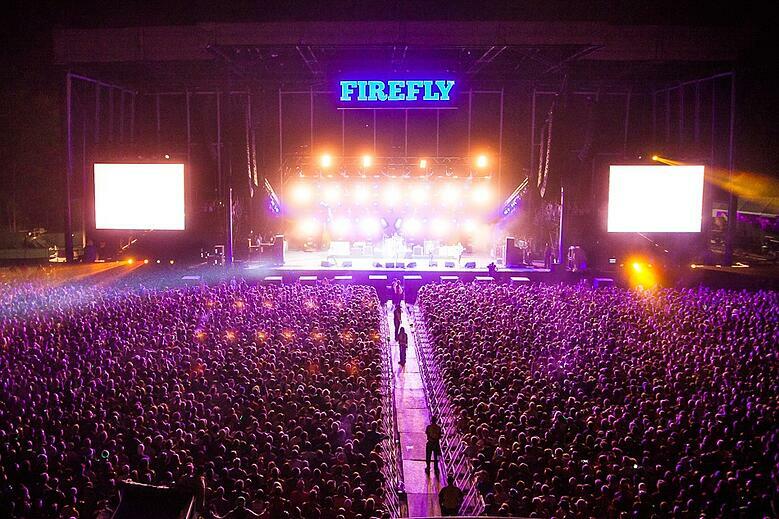 Here's a scenario: You're a month out from Firefly. What are the top three things you're thinking about? NUMBER ONE: Our team has taken over some of the responsibilities of activating our major sponsors and partners on site this year. So we're trying to put our absolute best foot forward to make sure those activations are representing both the festival and the sponsor in the best way possible—so lots of final phone calls and details coming to life for those. NUMBER TWO: is to make sure all of our staff--internal and external team members--all have the right information that they need to execute their jobs well. We have a huge team that goes out to Dover and it’s a priority for us to make sure that everyone feels like they know what's going on, whether they are going to be on site for three days or three weeks. An event like this isn't possible without a good team, so that's a huge priority right now, making sure everyone's excited and educated and feeling good about what they're doing. Wow, there's so many it's hard to nail it down to just three. The third is honestly thinking ahead to what is after Firefly. 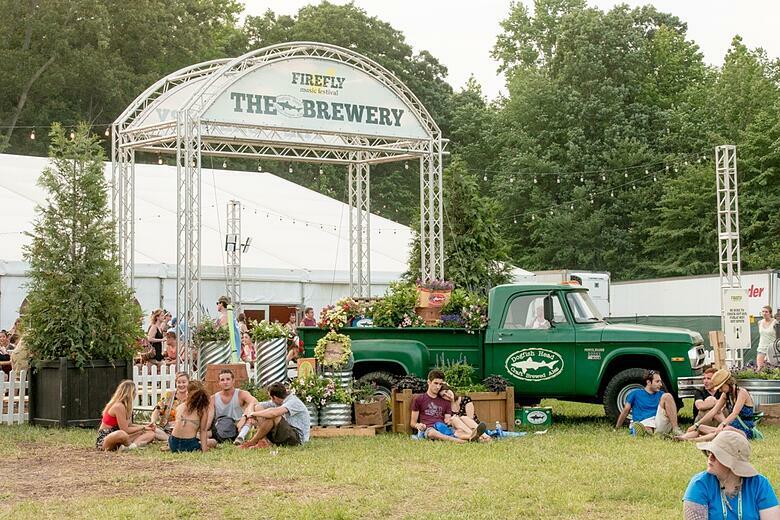 It's easy this time of year to be tunnel-visioned on one event and put it all into this particular festival, but we have a lot coming up really quickly after Firefly. I'm trying to give the right attention to all of those events and activations, too. It's a bit of a balancing act, but it's kind of exciting. What in your mind makes Firefly unique? It was kind of Red Frog's grand adventure. I know it sounds really cheesy but my very first summer at the company, as an intern, was the very first year that Firefly happened. We aren't a company that's in the music business; we're just people who really like to challenge ourselves and happen to be pretty decent at operations. To be a part of that first year, I think everyone was kind of in shock that we managed to pull it off and pull it off pretty exceptionally. That energy has really stuck with us over the last five years now. It's so energizing to be a part of it and to think back on that first year. We treat every year the same way; we want it to be something new for our guests and new for us. 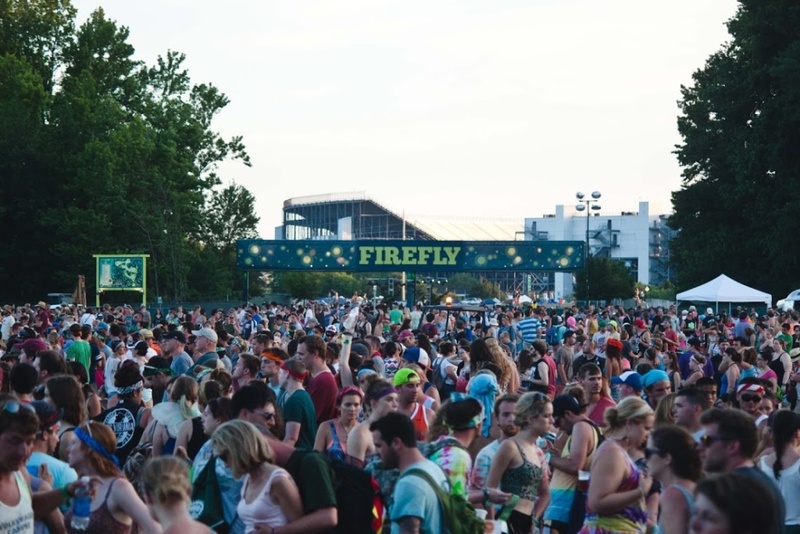 So why does Dover, Delaware of all places work so well for a festival like Firefly? That's a great question. It was definitely strategic, because it's only a couple hours from a number of major cities like DC, Baltimore and Philadelphia. And this part of the country really didn't have a major festival. We definitely got lucky with the location. I'm sure it's a challenge to constantly push yourself to innovate year after year. How do you balance innovations with the very real budget and operational constraints? Yeah. Always a challenge. It's been insane this year, to be honest, how much our team has been able to push ourselves. For our guests, it's going to be pretty tangible how much we've added this year, and we managed to do it in a way that's stayed very in line with our budgets and won't make any negative operational impacts for our builds, which is something we're all really proud of. It takes a lot of collaboration. We get ideas from people all over the office all the time. We really try to think through all of them before saying “no”. I think our team has been really creative with those types of solutions, rather than just turning things away. We want to challenge the way things have been done before and for how much and how long it takes to do it. It's made a lot possible that we didn't think could be. Since your team manages multiple events, what is one of the most effective things you do to keep everyone on track? Well, it's always a learning process. 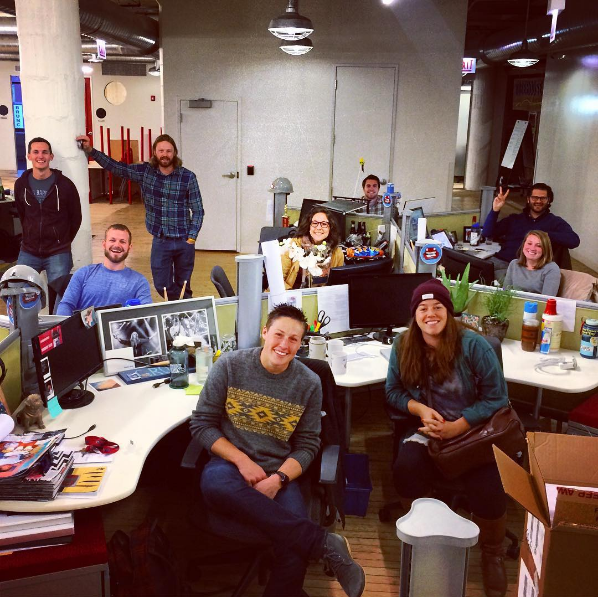 But we do a really good job of bringing all of our departments together on a weekly basis to discuss all of our brands, key action items, and key updates. It's really helpful with our internal communication and keeps everyone on track. It's the right place for all of us to say, "Hey, I know you guys aren't thinking about Shamrock Fest yet, but marketing is starting to move on it, so if you could take five minutes today to update your experience items, that would be great." It doesn't sound like much, but it's made a pivotal difference in the way our company's been able to operate as we've grown. Nothing like crashing a team meeting. 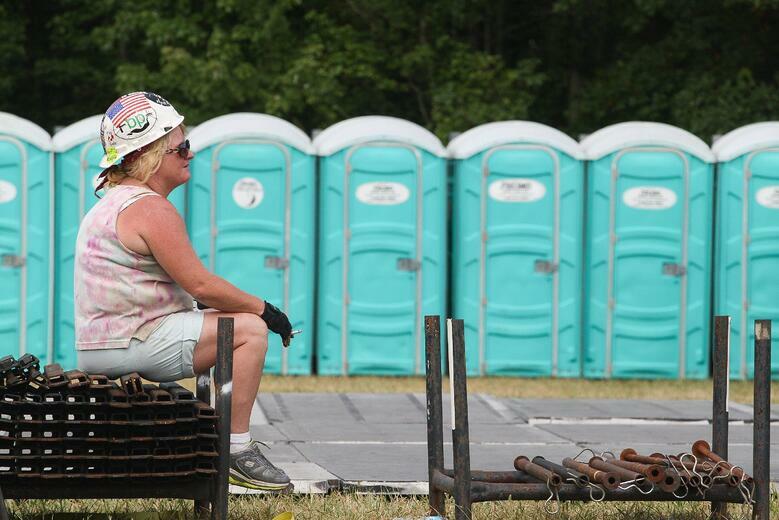 What do you think is the biggest difference between producing Warrior Dash and Firefly? Although obvious, one key difference, is just the scale of the site and the sheer amount of time it takes to get from point A to point B ... The number of people that attend the event is also pretty significantly different in most cases. But there's really more similarities than differences when it comes to production. It takes a lot of the same decisions to be made and you're working with very similar partners and vendors a lot of the time. I would argue that there's more similarities than differences. How have you leveraged rfid technology at the Festival? We've been using RFID technology for a few years and have made a very conscious choice not to do cashless just for the reason that it seems like the technology is constantly changing. For me, as someone more on the operations side, what I love about RFID technology is its insight into movement at an event. Beyond spending, it can give you such intelligent information on where people are going and when and how different spaces of the festival are being utilized. Selfishly, that's always been my interest in those types of technologies and seeing how we can better lean on that for our planning purposes. When you think about the festival industry in 10 years, what are you most excited about? 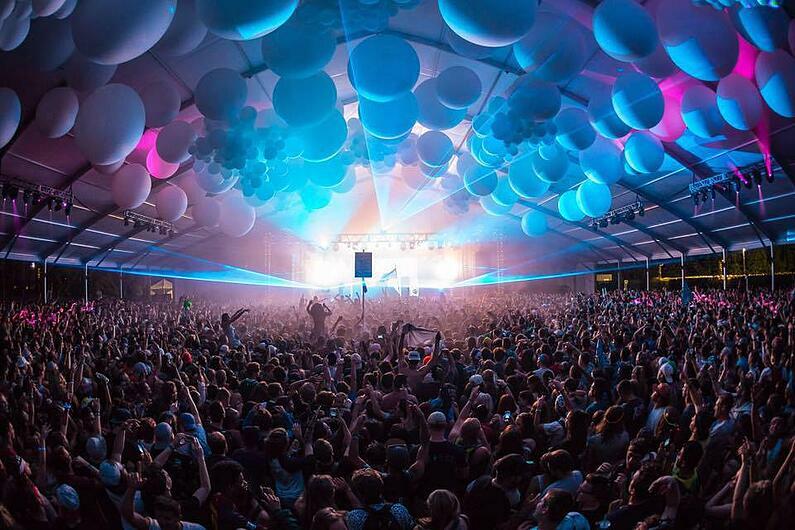 I’m excited to see how music festivals continue to make an impact on people and communities. I think it's a proven fact over time, at least in the US and really around the world, that the spirit behind a festival is really important to people. That escape and kind of cultural experience is pretty key to the way people want to interact with each other. As festivals come and go and event themes change over the next ten years, I'm really excited to see and experience where we all end up and what kind of festivals we're going to in the next couple decades. What is the best piece caereer advice you've received and from whom? I've had a couple managers at Red Frog who, in the midst of all the crazy days in the event world, did such a good job of challenging the concept of balance. Something we all talk about a lot is work/life balance. I think it gets thrown around a little bit too loosely, but I'm grateful for those people holding me back at times and saying, "You know what? The work will be here tomorrow. You’ve got to make sure you take care of you because you'll be better for everyone else and better for your work for it." It was a really hard lesson for me to learn and I'm still trying to learn it, but I think that's something that I always hear echoing in the back of my mind is making sure to take care of me. It's something that I try to share with everyone that I work with and manage now. 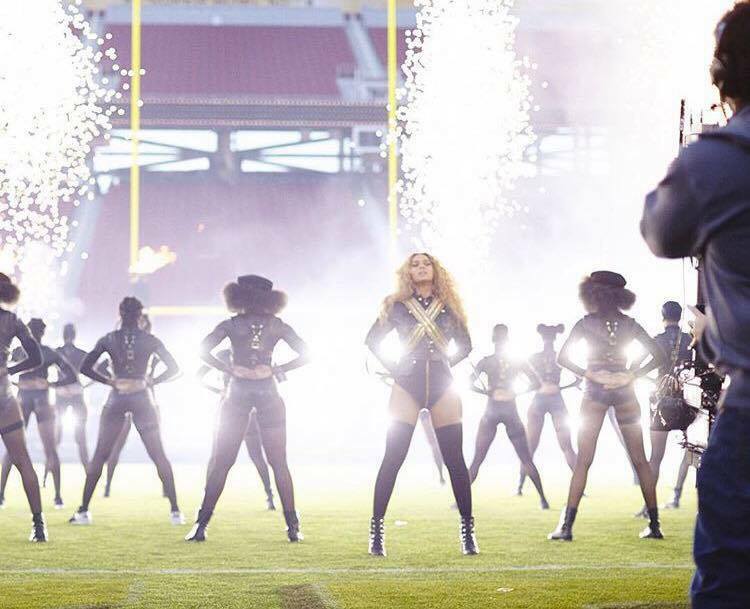 Oh, I'm going to lose so much credibility for this, but I still think it would be so awesome if Beyoncé played Firefly. Everyone would hate it. Everyone would hate it except for me, so I'm sorry. You know they'd secretly love it. I guess it's less of wisdom and more of a wish for everyone that has a chance to hear or see this. Oh and it's a lot of people. Hah - I know you're big time. I really hope that everyone has the opportunity to pursue what they're most passionate about, whether it's the event industry or any of the offshoots of this amazing, crazy world that we work in. When you have the chance to put your passion towards something for the long haul, it's amazing what you can produce and the impact that you can have on the people that work closely with you. I just wish for everyone that they have the similar opportunity to what I have right now and hope that everyone can find that. For me... Food and beverage is my true passion. Sooo... funny enough, as of this morning, I'm transitioning to oversee our build out of client services for the food and beverage business at our company. I can't wait. It will hopefully start to justify how much I talk about food. 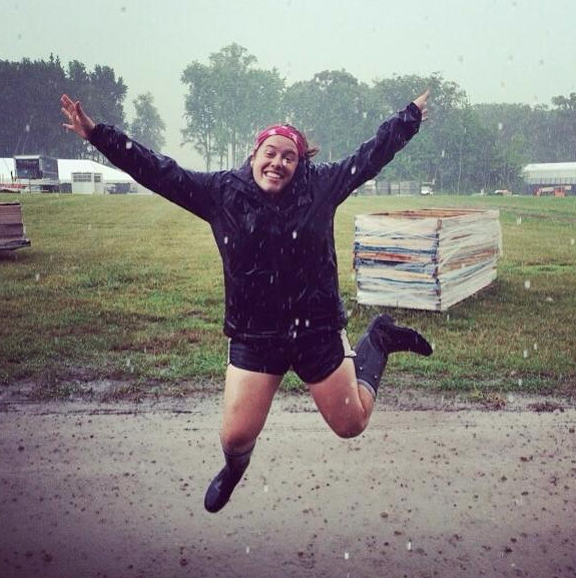 Megan in her element at Firefly.